How to Use the iPhone for Face Mocap? 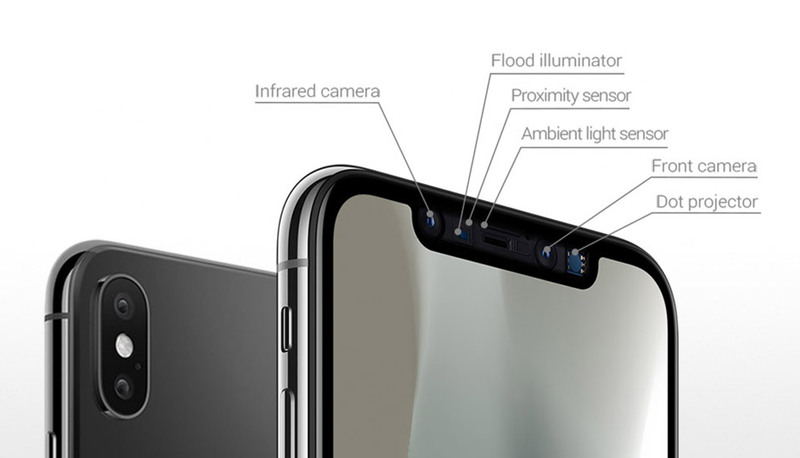 The iPhone facial motion capture works iClone Motion LIVE with the exclusive TrueDepth camera system powered by sophisticated high-res sensors. The iPhone tracks faces with a depth map and analyzes subtle muscle movements for live character animation. 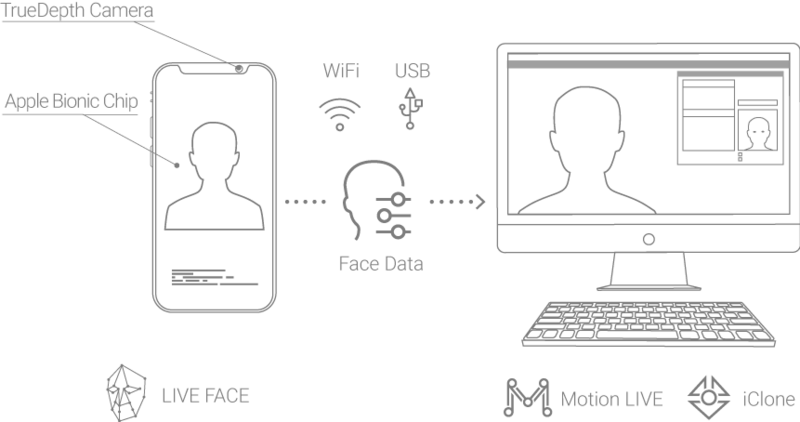 The Reallusion LIVE FACE App enables the iPhone to live stream captured facial mocap data directly to a PC or Mac, transforming the iPhone into a powerful 3D biometric mocap camera. *Compatible with iPhone X and above. The TrueDepth Camera projects and analyzes more than 30,000 invisible dots to create a precise depth map of the face. Analyzes more than 50 different muscle movements to mirror expressions. Highly sensitive to the details, like rotating eyeballs and tongues. Works with different skin colors and extreme light conditions. Strong Apple Bionic chip to totally release a computer's CPU resource, sending analyzed mocap data instead of full image frames. Runtime Calibration: on-the-fly calibration without pausing the face tracking process. Improved Stability: less likely to require mocap data cleanup. Supports both WiFi and USB connection. iPhone can live stream analyzed facial data instead of full image frames to free up CPU loading. Combine the LIVE FACE app on the iPhone with Motion LIVE to create incredible 3D facial animation for performance capture, live TV, and virtual hosts for YouTube and web streaming. Accurately drive character facial expressions including: head angle, brow movement, eyeball rotation, jaw open, and other 50 facial muscles. In a real capture environment, such as in live event or using the iPhone for head mount, it’s hard to control the light condition. Highly accurate with various skin tones. Work under low light, backlight, or dynamic lighting condition. Ideally, accurate mocap is done with the iPhone right in front of the face, but that's not always possible. For this we provide the Zero Pose function for the best possible capturing results. Track up to 58 face signals. Observe the relationship between a neutral facial expression and the real-time data stream to remove the initial appearance offset. Create live interaction or natural dialog between characters for live capture of live events or animation production. Easily capture stylized characters with the proper strength settings when toning down or exaggerating animated features. Save your fine-tuned settings for specific characters, in a custom library. A default capture profile with 58 facial muscle sliders optimized for iPhone Face IDs. Take advantage of the Search function to quickly locate morph sliders. to create the best result.